Terra Spencer spent much of her youth in a basement in Summerville, Hants County playing piano and secretly strumming her granddad’s guitars. Since 2014 she has taken the odd break from her day job as a funeral director to tour with acclaimed folk country musician Ryan Cook, after striking up a friendship with him while scooping ice cream at a music festival. A newfound passion for songwriting led to her posting a flurry of YouTube videos for a community of enthusiastic and encouraging listeners, co-writing with Ryan for his 2017 release, Having A Great Time, and collaborating with friends and mentors. Terra’s lyric-driven original songs and gentle, hand-stitched instrumentation with fingerstyle guitar and piano draw from the intimate storytelling spirit of Jackson Browne, Judee Sill, and Ron Sexsmith. Other People's Lives is Terra's debut album of original songs, co-produced with longtime friend Jake Smith at Moe's Place near her family's home in Windsor, Nova Scotia. Windsor is also home to an empty textile mill that is the subject of her song Cotton Mill, beautifully captured in a video by Analog Songs. 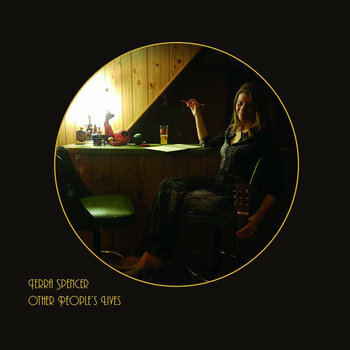 Other People's Lives is Terra Spencer's debut record of relationships held together with nylon strings and Scotch tape.